The Cover Contessa: Welcome Author Heather Burch! 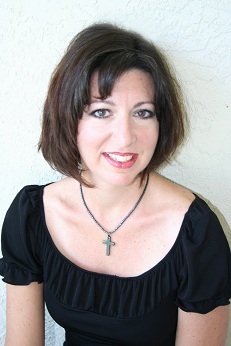 Today I am very excited to welcome author Heather Burch to The Cover Contessa. Heather is here to answer a few of my most pressing questions. But before that happens, let's learn a little about Heather and her books! 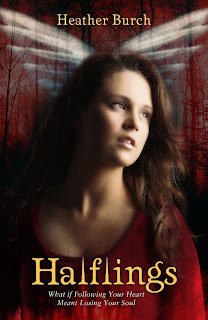 If you have not heard about Heather's books, run, don't walk, and get them now! I write full time and love being involved with groups that promote books! 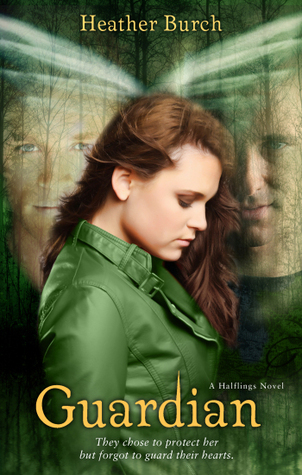 Writing about the Halflings has been the most exciting writing journey of my life! Before novels, I wrote teen curriculum published in both the U.S. and Asia Pacific. I've had a blast the last several months traveling the country and meeting fans! From Missouri to Miami, I've gotten to meet awesome Halflings enthusiasts at book stores throughout the U.S.
and as of today, I'm working with a fabulous publicist who is planning a cool Florida book tour of YA authors. I've taught in the U.S. and Mexico at women's and teen conferences. Teen conferences ... sooo fun!!!! Now let's hear what Heather had to say in answer to my most pressing questions! I’ve always done a lot of writing. Even when I was young. But through high school I wanted to write rock music videos. MTV was becoming popular and I thought it was sad that so many songs tell a story, but the story wasn’t reflected in most of the videos. It wasn’t until I was out of school that I seriously thought about writing novels. It’s about a six months process for me. I usually do a lot of brainstorming and writing in my head before I begin, but once I’m sitting down, I like to have six months. I’ve written a book in as short as four months, but it’s a killer for me. I find things I’m interested in then begin to twist them into the unknown. I usually have two competing ideas and try to sculpt them together. I love opposites. There seems to be a reoccurring theme of opposites in all my books. I begin in the mornings by about 6:00 a.m. and write until around 1:00 p.m. But I always take breaks for coffee, bowl of cereal… I only write four days a week, so I try to be very disciplined on those days. Unless I’m on deadline, then all bets are off. I may be at the computer 14-16 hours at a time. But those kinds of hours aren’t the norm. Not as well as I’d like. Just kidding. I have a great family support system. They understand that when I’m beginning to live a story, it’s always working in the back of my mind. My sixteen year old son will sometimes apologize for me in a store or restaurant if my mind is off on another planet. He tells people, “Sorry, she’s a right-brainer. You’ll have to ask her the question again.” I couldn’t do this without my husband and two sons. Oooooh. Good question! I’ve actually taught on this. You need 3 magic things. Waiting. Halflings had been written for a year before it found the right home. I really believed in the story, the characters, the plotline. But it took some time for the market to catch up to the idea. 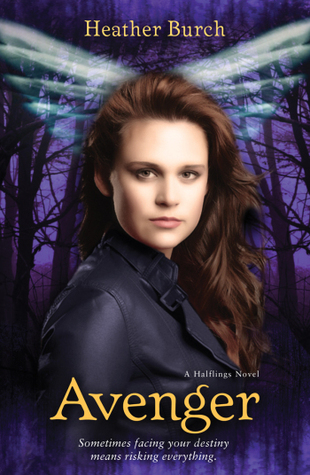 Now, angel books are everywhere, but when I wrote Halflings, vampires were all the thing. Waiting is so hard, but in the end, it’s worth it! I’ve written about 9 complete novels now. GUARDIAN is my favorite because it was so much fun to write. I got the chance to explore some of the secondary characters (like Zero) and the female Halflings. Plus, with the big reveal near the end of the book, it made the writing go by so quickly! I was working hard to get to the reveal! Oh, that’s tough. Raven is a favorite of mine. So is Vine. He’s so sweet and innocent and yet, the best warrior to walk the earth. It’s hard to choose. Usually at home in my office. I have a giant window that faces a palm tree. Nice for inspiration. Sometimes, when I need a change, I take my computer to Panera Bread or Starbucks. Once in a while, I go out to the beach. But not too often. The water is far too great a temptation and I end up people watching or scanning for Dolphin. I just knew in my heart I wanted to go the big publisher route. I wanted to have books in bookstores across the country and I didn’t mind waiting however long that took. I knew with the right combination of story and voice, I’d one day sell to a big publisher. Halflings became my “right combination.” I wrote five books before Halflings that weren’t quite “ready.” But, I’m so happy the Halflings Series became my debut. I married into a family of published novelists so, yes, they read as I’m writing. If I get twenty pages done over a couple days, I send them out to them. Great help! Also, my husband does a lot of the plotting with me so whenever I get stuck, he helps guide me through. All of my family loves the Halflings. Even my father-in-law reads the stories and will occasionally say, “Hey, Raven wouldn’t say that.” I go back, look, reread and usually decide he’s absolutely right. I’m totally a theme park junkie. We love going to Disney, Busch Gardens (great roller coasters) and Universal Studios. Also, I like spending time at the beach and recently we’ve started hiking. We used to hike quite a bit. It’s nice to be doing that again. Also, I love boats. Put me on the water, I’m a happy girl. Write and write and write and write. There are fabulous workshops available online about how to write books. RWA is an organization that offers tons of help for writers. It’s worth joining! Get involved in a writer’s group or local chapter of RWA. You will learn so much and make great connections. Even having family who has published multiple novels, my strongest publishing connections came from writer’s groups. My favorite book changes with my mood. So, that’s a tough one to answer. Of course, I love Hunger Games and am inspired by the story as well as her amazing voice. My hubby is my plotting partner. He has the most amazing creative ideas. Every time I paint myself into a corner—which is pretty often—he knows how to get me out of said corner. See, I like to put my characters in truly impossible situations. Then, I rely on the character to think of a way out of it. I don’t have those details worked out in the beginning. I think it keeps the conflict fresh and the pressure heavy. Heather, thanks so much for stopping and sharing all of this with us on The Cover Contessa! We look forward to your new releases and hearing more from and about you in the future! Great interview! I also love the old music videos that gave you a story. They are dying art form. You have a great support system! Love that even your father-in-law is involved.